Here are some of my favorite homemade facial scrubs. Facial scrubs are probably the only skincare product that I've been refusing to buy even if they're drugstore brand. I just don't believe in buying scrubs for your face that contains ingredients in which half of them you can't pronounce, and that you can also easily make with ingredients found in your kitchen cupboard. With everything that's going on my face already, whether it be cleansers, moisturizers, or even makeup, I just want something more natural when I'm sloughing off dead skins. When you think about it, do you really need all the preservatives that goes into scrubs to rid of dead skin? Here are a couple of suggestions for facial scrubs that I normally use. I'm sure none of this new to some of you since these scrubs have been around for a long period of time. For the following concoctions, I basically use the same rations for each mixture: mix 1/2 part sugar and 2 parts honey and/ or extra virgin olive oil (EVOO) together (shoot, why not mix all three together as well). I usually just 'eyeball' the ingredients just to make sure I don't have too much sugar in the mix because doing so can make the scrub too rough on my face. I just make sure that there's enough sugar to scrub the dead skin cells off without butchering my face with it. Remember, be gentle with your skins! Please, please, please, don't use the following ingredients if you're allergic to it. Although these products are natural and has its benefits, if you're just simply allergic to it, it really won't do you any good. So please before you put this on your face make sure you're not allergic to any of the ingredients. Prior to using the scrubs, I clean my face and remove any traces of makeup first, and then apply the scrub on my clean and bare face. I love this scrub. Sometimes it doubles as a mask for me. After I apply the honey and sugar on my face, I just keep it on for a few minutes before completely washing it off. This scrub might get a bit sticky and hard to apply, to prevent tugging on your skin too hard, wet your fingers with water as you spread the mixture to your face evenly. This should help make the application process easier and a gentler especially when you're scrubbing. Make sure you get all the honey and sugar out of your face and hairline especially if you're doing this before bed. You don't want ants and roaches lingering in your room because of this. For the EVOO scrub, the EVOO will be a bit slimy when you're putting it on and washing it off. So again just pointing out the obvious, make sure you completely wash off your face. What I like about this scrub, my skin just feel so smooth and moisturized after use. It's also not as sticky to apply compared to the honey scrub. I used to use St. Ives Apricot Scrub, but I found it a bit too rough on my skin. It was good in the beginning but later on down the line it made my face dry and I started breaking out from it. 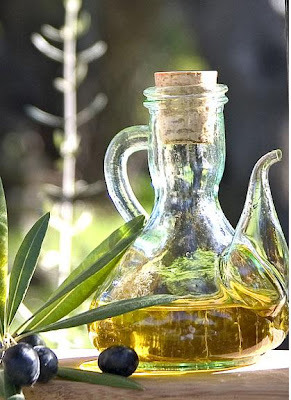 Ever since then, I used the natural approach with either using honey or EVOO and sugar. For people who have acne problems, I definitely suggest to try out the honey and sugar scrub. I only exfoliate my skin once a week at night since you really don't want to overdo this one and strip your skin with natural oils. Great tips, Anne. About how long do you leave the sugar/honey mix on when you use it as a mask? fuzkittie: thanks! I'm glad you found this very helpful. tracy: I usually just leave it on for about 20-30 mins. it's really up to you, but that's just my preference. i love both of these homemade scrubs! only i love using aspirin with honey instead. i also like the evoo scrub for the same reasons you stated. these seems really good =] I have never ever made my own mask before, since I don't know which is the best for my skin type. I have oily, and sometimes combo if the oil tones down a bit, with some acne. I'm not sure if there's a mask thats good for both reducing oil and fighting acne, but if there is, I'd love to try it. =] Do you know a mask thats good for that? Gah. I'm too lazy to make homemade anything. lol. The St. Ives Apricot scrub is way harsh. Never liked it much. erica: when I was having acne problems (i have combo skin as well, and oily t-zones), my go to mask is the queen helene mint julep mask (i actually did a reveiw on that). I still use it to this day even though I don't really break out as much anymore. I just love the minty and fresh feeling it gives you. It also really helped with my acne breakouts which is a plus! I have used St. IVes scrub too and it's harsh on my skin!!! I have always heard good stuffs about honey, I am just too lazy! LOL thanks Anne for the reminder! 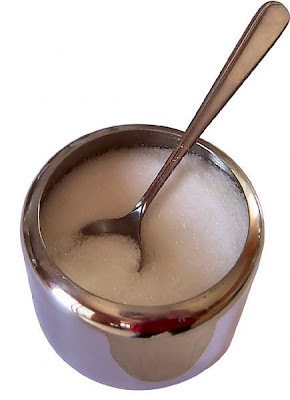 wow i never knew you could make your own scrub with honey and sugar! i'm gonna try it sometime. must be kind of hard to take it all off your face though. and amen to that mint julep mask. I love it as well. Okay I literally just tried the honey and sugar scrub right NOW, and I must say I'm really impressed! I didn't expect to be this blown away by it. My face is smooth, feels really moisturized and I didn't even put on my lotion yet! I was just a bit freaked out about getting this stuff in my eyes. i'm really bad about getting things in my eye! I used the left overs in a tea. haha I should use a little less next time. thanx so much for this! I think I've joined you in the band against purchasing exfoliators..
i love the roughness of the St. Ives stuff. i feel like i'm taking a whole layer of skin off, which actually feels quite good to me! These are great tips! I've never made my own scrub, just because I've had fantastic results with the Queen Helene Mint Julep Scrub, but it's something I've always wanted to try! mimi: haha you're so funny. but they're great picker uppers arent they? tanya: ooh I never knew they had a scrub version of the queen helene mint julep. I might actually check that out one day! thanks for the heads up. i can't wait to try these when i get some me time, in a quiet house, enjoying peace! ahhhhhh calgon! I tried it today after reading you review. I reckon I made too much (2 tablespoons of sugar + 8 tablespoons of honey) so there was much left over. Haha. I also added a bit of olive oil seeing that the concoction was a bit too thick. Another facial scrub that you can whip up with oatmeal is done by preparing 2-3 cups of raw oats which are crushed into very fine pieces either by hand or a grinder. You then mix this with a quarter teaspoon of apple cider vinegar and pure honey which is enough to make a smooth mixture. You can add a drop of basil or tea tree oil because this can help with the healing process of the skin. As you apply the facial scrub on your face, make sure that you leave out the area around the eyes. After rubbing it gently all over the face, you leave it on for 15 minutes and wash it off with warm water. How often do you use the scrubs? Healhaphope merupakan layanan informasi seputar kesehatan penyakit, pengobatan, herbal tips kesehatan, lifestyle dan sebagainya.